Last Wednesday, horror author and good buddy Armand Rosamilia posted a guest blog I’d created some weeks earlier and while I was busy attending to other things. And what I mean to say is, I’m posting it several days later completely on purpose in to maximize exposure over a period of time. So did you know that being a modern author is a lot like being in a garage band? Its true! Here’s what I posted. 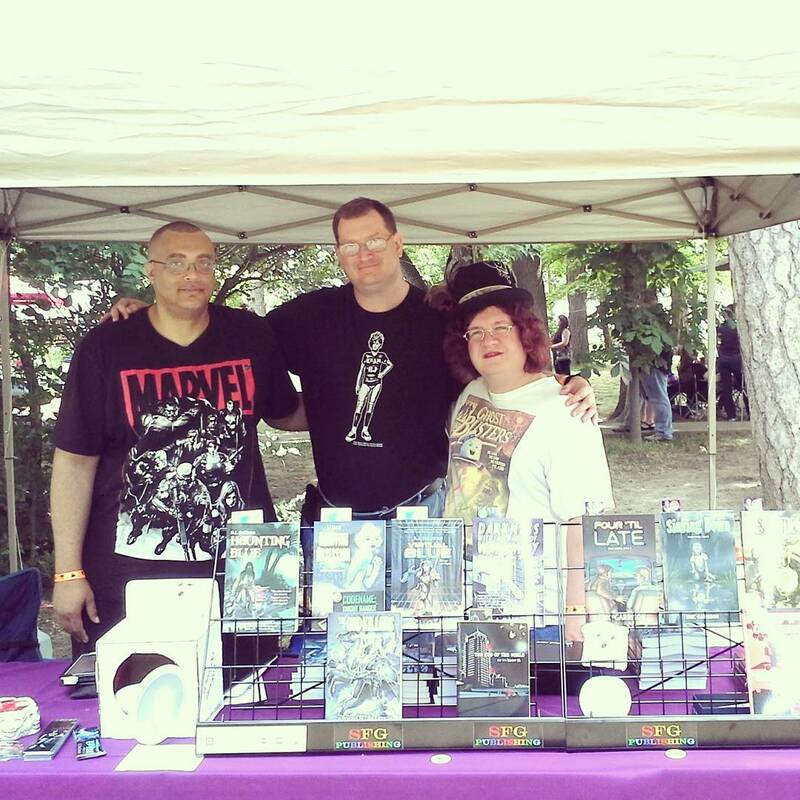 Me between two author co-op peeps John F. Allen and E. Chris Garrison. You’ll need to click over to the original post on Armand’s blog to read the rest. And while y0u’re there, check out guest posts by other authors scheduled to appear at the Second Annual Imaginarium Convention in Louisville, KY, including a guest post by my good friend E. Chris Garrison. Click here to finish reading my guest post. This entry was posted in Uncategorized and tagged Armand Rosamilia, author promotion, authors, Book Promotion, book signing, books, convention, E. Chris Garrison, ghost stories, ghosts, Imaginarium, Indiana authors, John F. Allen, paranormal thriller, RJ Sullivan, seventh star press, writer tips. Bookmark the permalink.